Click the pic to see my commission at Gene's blog! 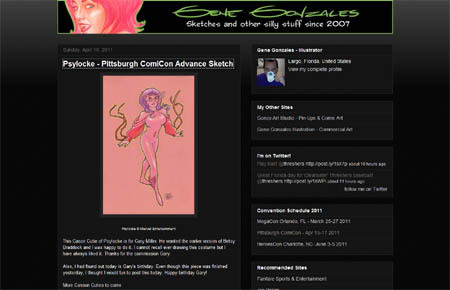 While you wait for the next post from me, head on over to Gene Gonzales' blog, where today's feature is my convention commission: the original 1980s X-Man, Psylocke--purple hair and all! This is where it's at, kids! Isn't she lovely?